The first day of qualifying at the U.S. Open is nearing completion, although Ken Thomas of radiotennis.com is still webcasting his final match of the day. Thomas started this morning at 11 a.m. with the first match on Court 11 between Robert Kendrick of the U.S. and Dusan Vemic of Serbia. He probably got the feeling that it would be a long day after Kendrick needed three sets for the victory. 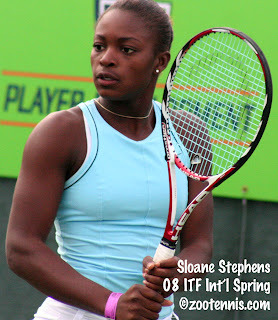 I caught the end of that match, then listened to the entire play-by-play of 15-year-old wild card Sloane Stephens' 6-3, 7-5 win over No. 7 seed Melinda Czink of Hungary. Czink, who is ranked 110th, didn't play well, from Thomas's perspective, but that's still an impressive win for Stephens. Aside from Stephens, five other wild cards were in action on Tuesday. Sixteen-year-old Kristie Ahn won in straight sets over Ukraine's Yevgenia Savranska, while U.S. Open junior champion Kristina Kucova of Slovkia needed a third to get past Naomi Cavaday of Great Britain. Kim Couts lost in three to fellow American Lauren Albanese. 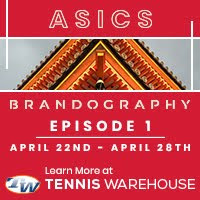 Travis Helgeson fell in three to Caio Zampieri of Brazil and Chase Buchanan dropped a third set tiebreaker to Ricardo Hocevar, also from Brazil. The remaining 12 wild cards will play their first round matches on Wednesday, and Ken Thomas will be back doing free over-the-internet webcasts from Flushing Meadows. Other notable winners Tuesday were Americans Alex Kuznetsov, Ryler DeHeart and Ryan Sweeting. Portugal's Michelle Larcher de Brito and Urszula Radwanska of Poland also posted victories Tuesday. For complete draws, visit usopen.org. The New York Daily News covered Adam El Mihdawy's first round match at last week's Bronx Challenger, and posted this story about the New York resident. If I understand the NCAA rule correctly, El Mihdawy will forfeit a year of collegiate eligibility even if he retains his amateur status, for each calendar year he competes in "organized competition" past his 19th birthday, which is next month. Helgeson choked. He was up 5-2 in the second set, served for it at 5-3. Too bad both Buchanon and Ram both lost in 3rd set breakers. Buchanon's effort was a pleasant surprise though. Benny Becker on the other hand continues his downward spiral. Lost to a mediocre Italian today. Far cry from his 4th round appearance two years ago. I may have missed it but, did anyone from the USTA say why they decided to deny the NCAA singles winner a wildcard into the main draw of this year's Open? If they didn't, is anyone going to ask them? I have been unable to find out what the issue is (anyone know? ), but Travis had a trainer come right after the second and looked to be deciding whether or not to even continue a third. I'm not entirely sure who is on the wild card "committee", but I'll ask about it when I'm in New York. you are allowed to take one year off after high school. Then, you must enroll. If you continue to play tournaments, you lose that year. plus you must do one year of residence at the university, and you are not allowed to play tennis. The other rule is the 20 year old rule, which doesn't allow you to play tournaments after you turn 20. Even if, have only taken one year off after high school. andrewd -- the main draw wildcard for the ncaa winner only goes to American and since Somdev is an Indian national he didn't qualify. He should have been given at least a wildcard into the qualifying draw, though. I think Andrew was referring to Amanda McDowell. Adam El Mihdawy should 100% go to school. He would be a great college player and is not ready for the full-time rigors of the tour. Anyone who has seen those temper tantrums over the years (I have personally seen him make obscene gestures towards a spectator) knows he's not ready to make it as a professional. Colette is correct, I was referring to the American born (Atlanta, Georgia)Amanda McDowell. Once and for all, Somdev is not American. Lets end this debate. I am 100% for giving the NCAA champion a wildcard regardless of nationality, but its not the rule so lets move on. Its very clear why he was not given a wildcard. Never seen El Mihdawy play in person, but based on his results be better get himself into college this fall or at least by the spring semester. If you dont dominate the juniors you have no business going pro before you dominate college. I say that strictly on a realistic level of thinking. 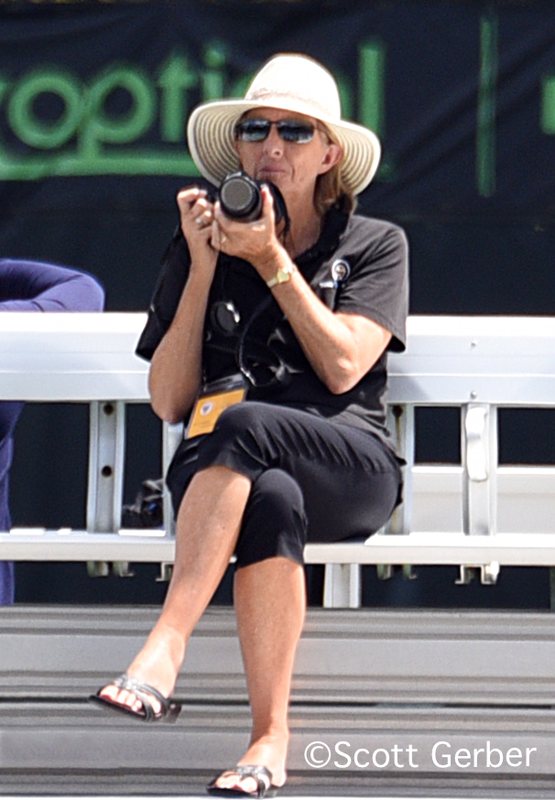 Does anyone know: Who are the members of the USTA's Wildcard commitee? And, does anyone know if Clayton and Aubone have parents that work in any capacity for the USTA? i agree with austin, unless u are dominating at the highest level of the juniors, I think college is the best route to at least try and get better and amture before taking a "shot" at pro tennis.